Learn how to use the Serviettage technique to upcycle ordinary and unwanted items into objects of desire. 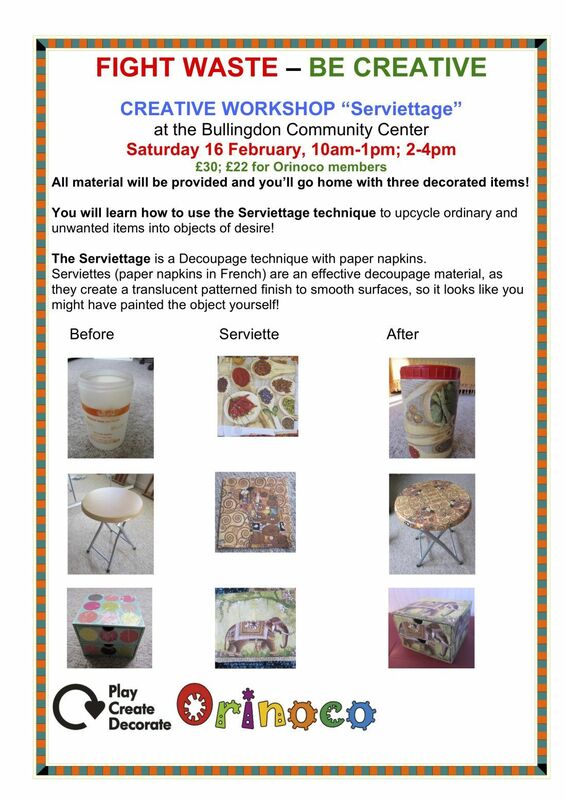 The Serviettage is a Decoupage technique with paper napkins. Serviettes (paper napkins in French) are an effective decoupage material, as they create a translucent patterned finish to smooth surfaces, so it looks like you might have painted the object yourself! All material will be provided and you’ll go home with three decorated items! Costs £30 for the day; £22 for Orinoco members. Book your place now by email to emma | oxorinoco ! org.